Kate untied the gown and let it fall from her shoulders. She’d shed a lot of weight recently. The stress had killed her appetite. Her whole life, she’d always been fit and healthy, but now she could glimpse the outline of her ribs through her skin, the jut of her clavicle. Becca [moved] towards a portable clothes rack in the corner of the room. The rail was jammed with garments suspended from plastic hangers. A set of colour photographs had been tacked up on the wall nearby and Kate could see that they were flash shots of the interior of her wardrobe on the Isle of Man. dark blue jeans with a high waist, a baggy pale blue sweatshirt and white trainers over white sports socks. beat-up jeans over his scuffed desert boots, a flannel shirt and a blue nylon jacket. 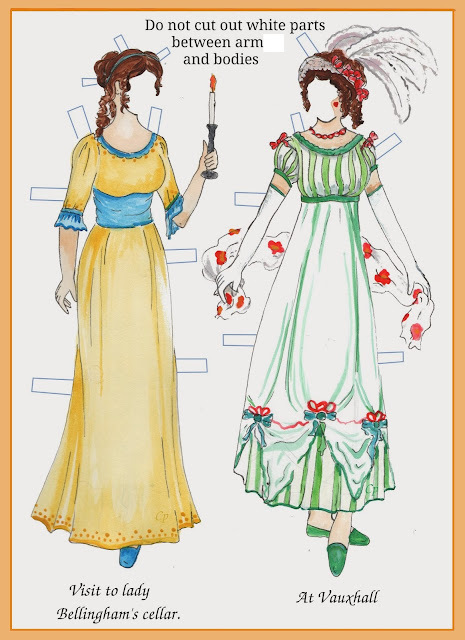 The inspiration for Clothes in Books did not come from such ensembles. But still, no complaints, this book is tremendous fun: non-stop action, a hard-working thriller. I always like stories of hidden witnesses and changed identities – Thomas Perry writes good books on the theme, Harlan Coben has been there, and, most importantly, the blog’s good friend Christine Poulson wrote the excellent Invisible in 2014 – on the blog here. For me the main point of the book is that it is un-American: the plot and the people are not shiny and polished and hard. The main male character, Miller, ‘leads a highly illegal underground unit that sets people up with new identities.’ But these people are proper Brits: cosy, friendly, nice, and somewhat inept to be perfectly honest. The clothes are all a bit rubbish (as we say here) and sometimes the operatives are too, in a charming way. There’s a lot of emphasis on their brilliance at their jobs, but the villains and the police are always catching them out and breaking their cover, which does of course make for an exciting adventure. Everyone races round Europe – Prague, the south of France, Switzerland – falling in and out of trouble. The plot revolves round a villainous crime family from the Lake District (of all places – does Martin Edwards know?) and there are definitely questions over the team who are helping Kate – they seem to be on the side of the saints, but there are suspicious circumstances and unanswered questions. Is there more to the story…? Whom should we suspect? So the ideal book going into the summer – this one was designed for long flights and hours by the pool, and if you are looking for a good, complicated, well-plotted thriller, it will not let you down. I love that disclaimer about the inspiration for CiB, Moira!! And the book does sound like a fun 'airplane' novel. Normally, I'm not one to reach first for a thriller, but there are times when that's exactly the right choice. And this sounds like a solid one. Yes I feel the same - my usual reading isn't so thriller-ish, but sometimes I'm in the mood, and this one was good fun. I recognized the author name but could not remember from where. Looked in my catalog, I have the first of the Good Thief series... but have never read it. The idea of changing identity completely seems fascinating, although I have only run into it in TV shows, that I remember. I think it's a small genre, but one I always enjoy. HOpe you will read his other book and tell me what it's like! I love that sentence about what Clothes in Books is not about - cutting or what? Having said that, this book sounds like a great idea for a thriller, after all which of us wouldn't like to disguise ourselves from time to time? I agree, a really good concept. And fortunately the author took my remarks with grace and good humour! This does sound really interesting. You've mentioned before in these posts about characters apparently rendering themselves invisible by changing their hairstyes and the like. This sounds like that idea writ large. Definitely one to put on my 'to be bought' list. The difference between American and British style in heroes is very noticeable. In the American show COLD CASE, the protagonists tend to be youngish and sharp suited. The same idea handled by British TV makers has a set of retired, saggy and badly dressed heroes who don't always get along. Both the same basic programme idea, but the British show has people that you might actually meet in the street. The latter show was NEW TRICKS of course! Yes, you take my point entirely! And everyone is always good-looking in US shows, unless they are a weird character. (What do less-than-perfect US actors find to work on?) And yes - it's a bit like fortune-telling, I find it hard to believe in the success of appearance-changing, but I do like to be made to believe in it in a book! i hope you mean characters in American programs. I think we are pretty friendly. Oh my goodness, of course I meant fictional characters! Americans in real life (to create another stereotype) are the most friendly, welcoming, warm people anywhere - and I speak as someone who moved there, was met with nothing but kindness, and had an incredibly happy few years. I did only mean that in thrillers your protagonists tend to be more slick and efficient! I think there are just different expectations of actors - if Bridget Jones had been American she'd have looked like Julia Roberts or Jennifer Aniston, not Renee Zellwegger 'having put on LOADS of weight'. And now I am wondering if I've got enough clothes in the novel I'm writing at the moment! Thanks for the mention, Moira. This does sound like one for the summer holiday reading pile. Excellent Chrissie, we like to keep you up to the mark! And I did enjoy your own look at a similar subject as mentioned above. I've got a couple from this author - not this one though, and no I haven't tried him yet! I'll stick for now.